Posted on May 5, 2016 by thelostlighthouse	in Comics, Literature and tagged Becky Cloonan, comics, comics reviews, crime story, Frank Castle, Frank Martin, Literature, Marvel, Marvel comics, Steve Dillon, The Lost Lighthouse, The Punisher, TLL, violence. 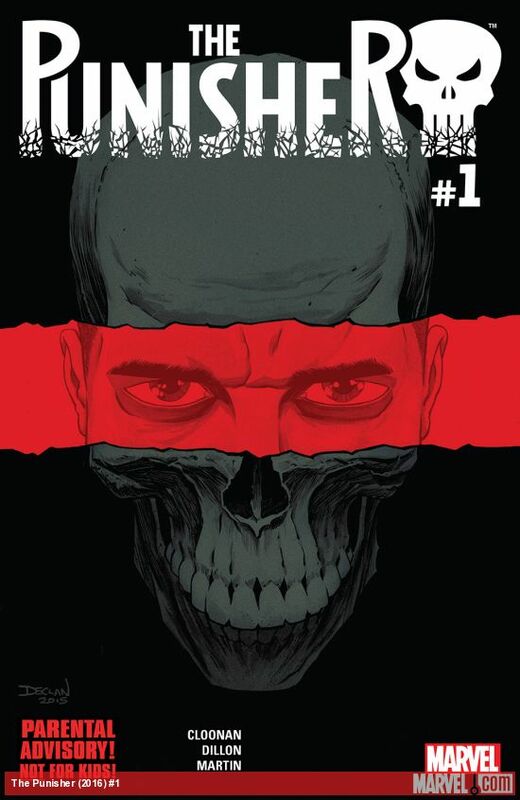 This week I picked up The Punisher #1 from Marvel Comics, the start of a new series written by Becky Cloonan and drawn by Steve Dillon, with colours from Frank Martin and letters from Cory Petit. The Punisher has long been one of my favourite Marvel characters (an issue of Garth Ennis’ MAX series was one of the first single issues I ever bought), and with Cloonan writing and Dillon returning to the character for art duties, and after Castle’s turn on Daredevil Season 2, this was definitely one of my most anticipated books of 2016. In the warehouse district of Brooklyn, gangsters Face and Olaf are preparing a shipment of EMC, a new drug that creates incredibly strong soldiers out of normal people. Their boss, Condor, wants the shipment ready to go tomorrow, so it’s all hands on deck. Nearby, the DEA are putting together evidence and finishing the paperwork that means they can finally take down the operation the next morning and close in on Condor. Unfortunately, that paperwork slowed them down just enough for Frank Castle to jump in line and bring his particular brand of justice down to Brooklyn. I don’t want to go into more detail than that, you’ll have to read the book to find out the motivations and twists yourself. Which you should absolutely do. Cloonan kicks off excellently in this first issue, delivering a Frank Castle that is, as he should be, a force of nature. A boogeyman that turns up and just wrecks shop. And he does it in complete, deathly silence. Characters familiar with his work know better than to underestimate him, and the others scrabble around in a panic as they pointlessly try to take him down. The DEA are almost played for fun here, with all the work they’ve put into the case totally wasted. And the people that The Punisher has pissed off? It should be very interesting to see how they plan on taking Frank down. Dillon’s return to drawing The Punisher is fantastic, and as an artist that has rendered some fairly gruesome violence over the years, the ‘Parental Advisory! Not For Kids!’ warning on the cover is well earned. Frank’s take down of the gang is kinetic and brutal, with some genuinely unsettling panels. But perhaps the most grisly is Face’s “trophy wall”. The colours from Martin complement Dillon’s heavy line work, with the explosive action retaining a brighter hue to contrast against the earlier shadowy and washed out scenes with The Punisher lurking before his attack. Also that cover from Declan Shalvey & Jordie Bellaire is insanely good. 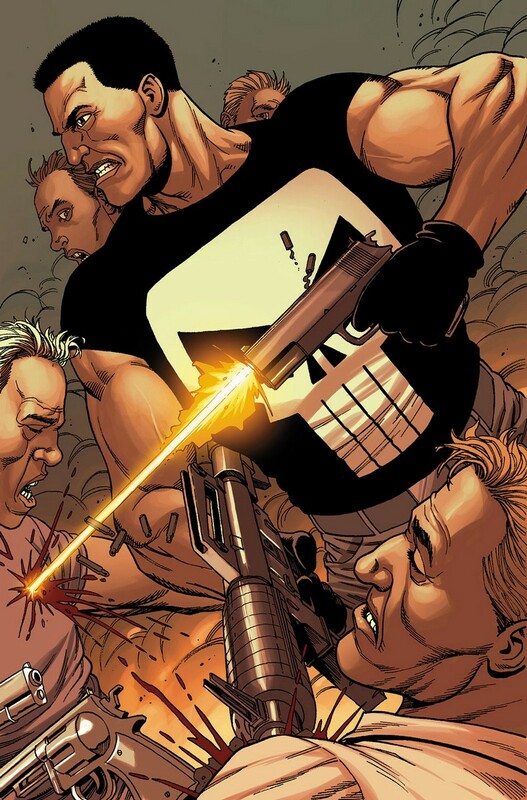 This was a great return for The Punisher, with a tight and intriguing opening issue with great action. As forces rally themselves against Frank Castle that action is only going to intensify, and I can’t wait to see how far the book pushes or where Cloonan takes him. Pick this up at your local comic book shop or digitally.